Posted by Diana Morris on Monday, January 21, 2019 in Announcements, News. Founded in 1988, the Warren Center promotes interdisciplinary research and study in the humanities and social sciences and is designed to intensify and increase interdisciplinary discussion of academic, social, and cultural issues. Its annual programming and events include conferences, public programs, visiting speakers, seminars, and reading groups, as well as a theme-based faculty fellows program, a dissertation completion fellows program for advanced graduate students, and the Harry C. Howard, Jr. Lecture. The Warren Center is located in the “Vaughn Home,” one of Vanderbilt’s seven original faculty houses. The home was given its current name in 1987 in recognition of the Vaughn family’s contributions to the University across generations. In 1882, William J. Vaughn accepted a position as one of the original chairs of the “Academic Department” (now the College of Arts and Science). He went on to serve as professor of mathematics for thirty years, professor of mathematics and astronomy for sixteen years, and University librarian for twenty-six years, as well as founder of the Vanderbilt chapter of Phi Beta Kappa. 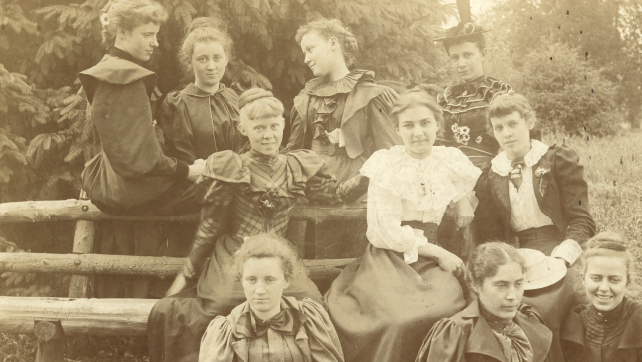 PHOTO: Vanderbilt’s ten women students in 1892. Stella Vaughn on far left of middle row. Stella Scott Vaughn (known as “Miss Stella”) was ten years old when her family moved to campus as part of her father’s appointment and she remained affiliated with the University for over seven decades. In 1892, she began her studies as one of 10 female students admitted to the University “by courtesy”—women would not be allowed to formally matriculate for another four years. Upon graduating in 1896, she remained on campus to teach women’s physical education, becoming Vanderbilt’s first female instructor, and organized Vanderbilt’s first women’s basketball team, serving as both the coach and team captain. She served in these roles without pay for nine years and was eventually given a salary of $100 per year in 1905. The salary was increased to $200 per year in 1913. In 1915, a faculty committee reviewed issues affecting women at Vanderbilt and recommended the appointment of a Dean of Women. Miss Stella had long been considered the “unofficial Dean of Women,” and, about this time, opened her home on Highland Avenue as a boarding house because female students were not permitted to live on campus. While the University did not take any action on the recommendation when it was first introduced ten years later, in 1925, Vanderbilt hired its first Dean of Women, Ada Bell Stapleton. 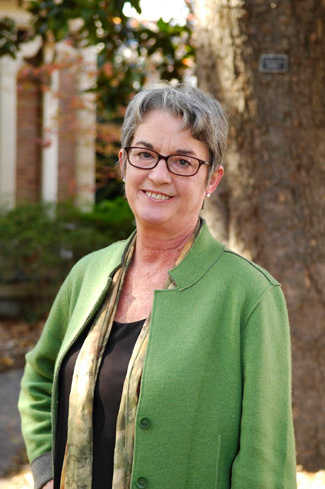 In addition to her family home which now houses the Warren Center, Stella Scott Vaughn’s legacy can be seen across campus today—one of the University’s residence halls bears her name and she was inducted into the Vanderbilt Athletic Hall of Fame in 2015. The screening of Robert Penn Warren: A Vision, which is free and open to the public will be shown on campus Jan. 23 at 4:10 p.m. in the Kissam Center second-floor classroom, followed by a Q&A with Tom Thurman, the film director and producer. A video of Frederick’s presentation can be found via the USAC website and more information about the Robert Penn Warren Center for the Humanities, the Vaughn Home, and Stella Scott Vaughn can be found here.